The 2018 harvest will go down in history as a truly outstanding vintage. Despite the extreme water shortages, this year´s yields have turned out unexpectedly high even for the experts. After last year´s below-average crops and correspondingly depleted cellar stocks, latest estimates expect a wine must harvest nationwide of approx. 10.7 million hectolitres. According to the German Wine Institute (DWI), this would correspond to a 23 percent rise over the 10-year mean of 8.8 million hectolitres, resulting in the largest harvest since 1999. However, the estimated volume increases vary widely between the regions, ranging from 5 percent in Saale-Unstrut, to 36 percent in the Mosel and up to 64 percent in the Mittelrhein. 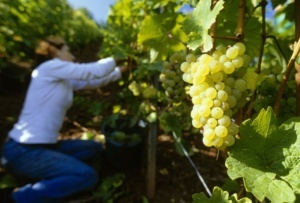 Following one of the warmest summers and earliest start-dates on record, German winegrowers across the country have brought in crops of exceptional quality. This summer´s drought has in hindsight been more beneficial than harmful for vine development and berry ripening. Thanks to the hot, dry conditions, the grapes are showing themselves right up into October to be in excellent health, with rich aromas and high ripeness levels. The red wine varieties have benefitted especially from the sunny summer. Care has been taken with picking times to ensure that the grapes do not come into the cellar with all too high must weights, so as to prevent the wines becoming excessively powerful. Wine lovers can look forward to a vintage 2018 of exceptionally fruity white wines and deeply-coloured, full-bodied reds, which from the entry-level to the premium segments offer first-class enjoyment and excellent value for money.